You can eat Italian without the guilt of all those carbs. 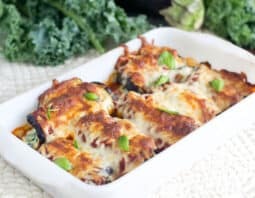 We have a rollatini recipe that features eggplant, kale, cheese, sauce and all kinds of good ingredients. 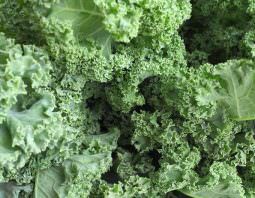 The other day we told you about ways to use a handful of kale here and there in your meals. 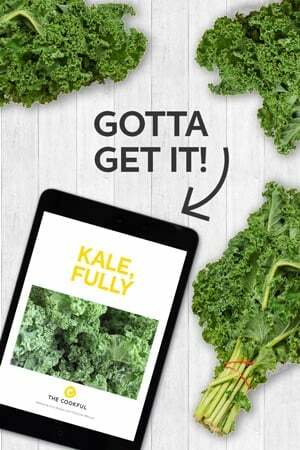 The idea is that you can buy a big bag of chopped kale and then add it to everything, boosting the flavor and health of your meals, and getting you through that potentially dauntingly big bag. Here is another idea along those lines. 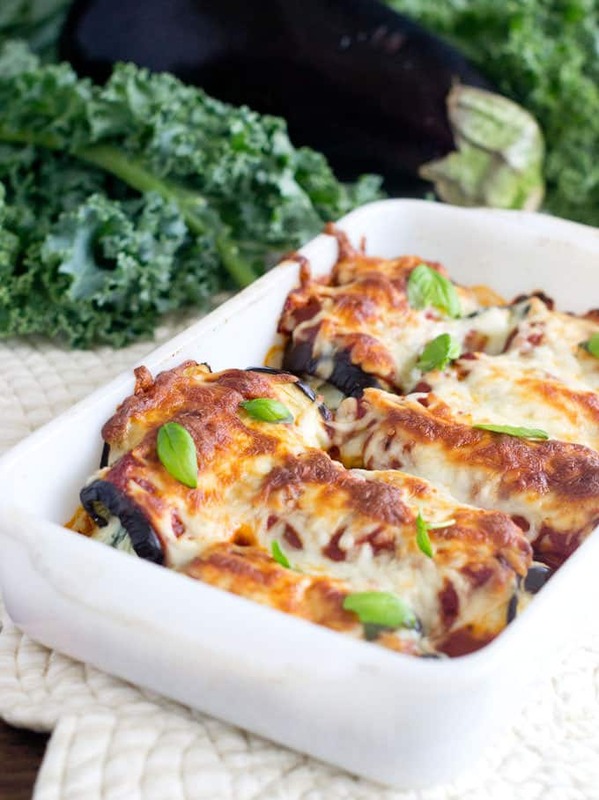 We’ve added kale to an Italian-style filling and then used it to fill eggplant roll-ups. You can add kale to any filling like this, think of your ricotta mixture for lasagna or stuffed shells, and make your Italian meals healthier than ever. This recipe is courtesy of Produce for Kids. I photographed it for them for their website earlier this year and I tell you, it was one of my all-time favorites from them. Healthy and yet so hearty and satisfying. I hope you like it as much as I do. Enjoy! Place eggplant on a parchment-lined baking sheet. Drizzle with oil and season with salt and pepper. Bake 15 minutes, or until eggplants soften. Remove from oven and set aside. Combine ricotta, kale, egg, Parmesan, 1 Tbsp. basil in large mixing bowl. Season with salt and pepper to taste. Set aside. Evenly spread ¼ cup marinara sauce on bottom of 11x8-inch baking dish. Place eggplant on work surface and scoop 2 Tbsp. filling onto one short edge of an eggplant slice. Roll up and place in baking dish, seam side down. Repeat with remaining eggplant slices. Top with 1 cup marinara and then mozzarella. Bake until cooked through and cheese is melted, 25 - 30 minutes. Remove from oven and top with 1 Tbsp. basil. Recipe courtesy of Produce for Kids. Disclosure: I have an ongoing working relationship with Produce for Kids where I photograph their recipes, develop some recipes and promote that work on my blog COOKtheSTORY and in social media. I have not been compensated to share or promote today’s recipe. I just really like it and asked them if I could use it as part of our kale series. They said yes. All opinions are my own.